ROME -- The United States is urging allied nations to help deal with the growing number of foreign fighters that are being held by the U.S.-backed Syrian Democratic Forces, saying the militants should be turned over to face justice in their home countries. 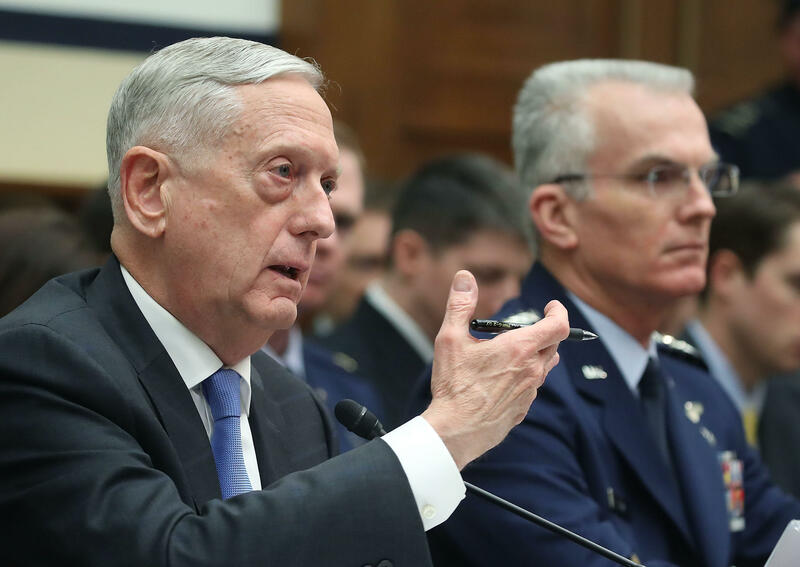 U.S. Defense Secretary Jim Mattis is expected to raise the issue during a meeting in Rome this week with other members of the coalition that is fighting the Islamic State of Iraq and Syria (ISIS) in both Syria and Iraq. The SDF is currently holding thousands of ISIS detainees, including hundreds of foreign fighters from a number of nations. The issue became more prominent in recent days, after the announcement that the SDF had captured two notorious British members of an ISIS cell who were commonly dubbed the Beatles and were known for beheading hostages. U.S. officials have said putting the two in the Guantanamo Bay, Cuba, detention facility is not an option. And British leaders have suggested they don't want the two men returned to Britain. "We're working with the coalition on foreign fighter detainees, and generally expect these detainees to return to their country of origin for disposition," said Kathryn Wheelbarger, the principal deputy assistant defense secretary for international security affairs. "Defense ministers have the obligation and the opportunity to really explain to their other ministers or their other Cabinet officials just the importance to the mission, to the campaign, to make sure that there's an answer to this problem." "The capacity problem is very real," Wheelbarger said, noting that at one point the SDF was capturing as many as 40 militants a day. "Success in the campaign means you get more people off the battlefield. ... These facilities are eventually going to be full." Former ISIS hostages and families of the group's victims are saying that Elsheikh and Kotey should be brought to trial. "What I'm looking for is justice and Guantanamo is a denial of justice," he told The Associated Press. ISIS has been largely defeated in Iraq and is near destruction in Syria, where pockets of insurgents still operate along the Euphrates River, near the Iraq border and in other scattered locations. As a result, the coalition is shifting from an emphasis on combat operations to stabilization. "There are numerous questions about what's next," said Mattis.